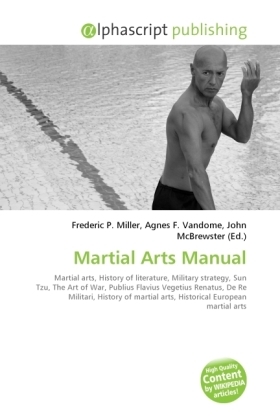 Martial arts manuals are instructions, with or without illustrations, detailing specific techniques of martial arts. Prose descriptions of martial arts techniques appear late within the history of literature, due to the inherent difficulties of describing a technique rather than just demonstrating it. The earliest extant manual on armed combat (as opposed to unarmed wrestling) is the I.33, written in Franconia around AD 1300. Not within the scope of this article are books on military strategy such as Sun Tzu's The Art of War (6th c. BC) or Vegetius' De Re Militari (4th c. AD), or military technology, such as De Rebus Bellicis (4th to 5th c.).